Discover one of the most spectacular urban transformations in Barcelona, from old industrial to a model of compact city. Includes Olympic Village, Forum and 22@ Barcelona district. When and where: At the time and place that suits you best, the lobby of your hotel or in the city center. Guide: Licensed local expert in your own language. Transport: This tour is a success in any kind of transport you choose: tram and metro, e-bike or private minivan. Price: From 250 €. Price includes licensed guide and public transport. Itinerary: Pick-up at your hotel > Fàbrica del Sol > Olympic Port and Village > The Forum > 22@ Barcelona district > Torre Glòries > Media-tic > return to your hotel. Let us know if you prefer to cycle. Consider it is an easy 10 km cycling route in mostly flat terrain. The eastern part of Barcelona has lived one of the most spectacular urban transformations in the last 30 years; it has gone from old industrial to a new model of compact city. It is now a much better place to live in, with an extraordinary recovery of green spaces (parks, river and beach) and where the industrial activity has been replaced by innovative businesses and research centres dedicated to technology and knowledge. 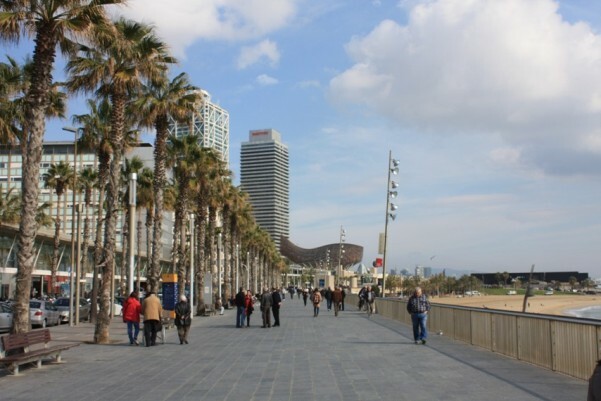 This tour is set to discover the urban transformation in a chronological order, from the 1992 Olympic Games, to the Forum and the 22@ Barcelona District. 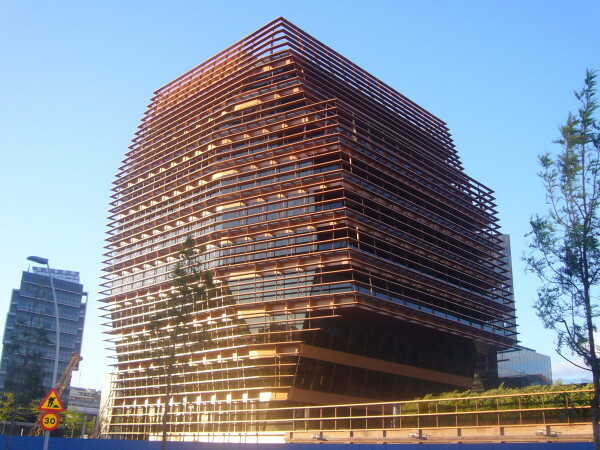 It includes an insight on the environmental and energy efficiency strategies sustainable buildings have used, considering the main issue of a Mediterranean city is how to allow light in while keeping heat out. 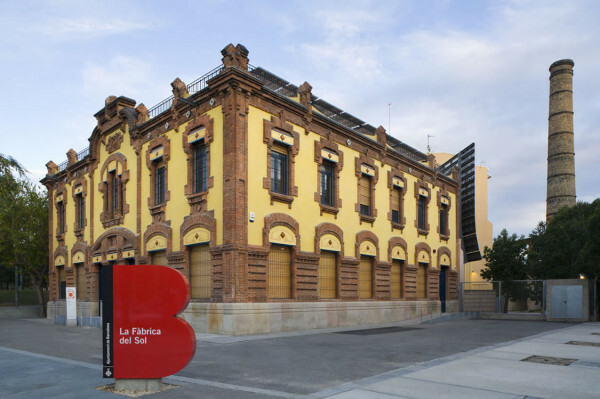 La Fàbrica del Sol – The Sun Factory (1907) > An art nouveau factory that has been converted into an environmental education centre for sustainability, renewable energy and urban environment. Olympic Port and Village > The residential area was created to house 15,000 athletes during the ’92 Olympic Games. 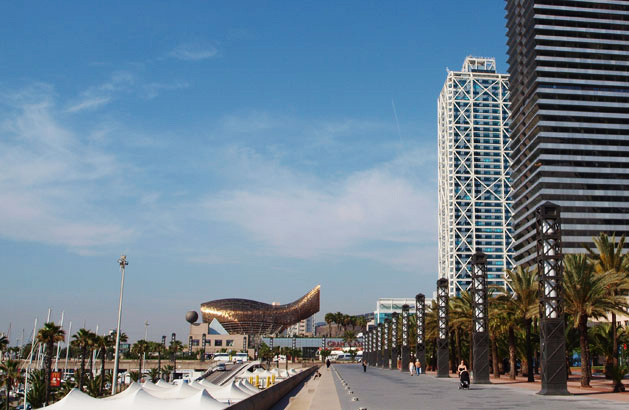 It faces the Olympic Port where the two tallest buildings in Barcelona are located (Hotel Arts and Mapfre Tower). The Forum > A good example of urban renewal on a seafront site with an open area that hosts a variety of leisure activities, has a bathing area, a new marina and a gigantic photovoltaic cell. 22@ Barcelona > It is one of the most significant urban reconversions in Europe, where 200 hectares of industrial land in Poblenou were converted into a new compact city, where innovative companies coexist with research, training and tech transfer centres, as well as housing, facilities and green areas. Iconic sustainable buildings > The new 22@ district has developed some outstanding buildings, both for their design and the energy efficiency and environment aspects they have incorporated. 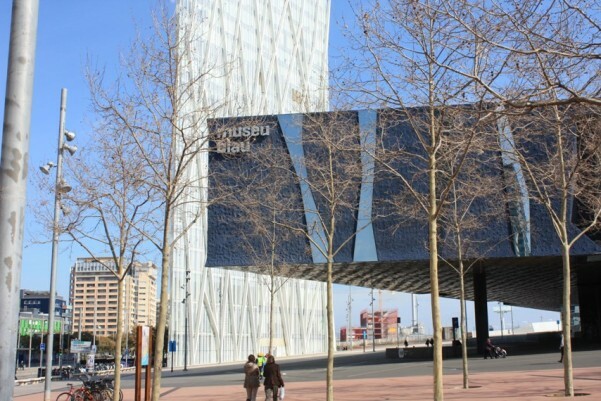 We will pay a special attention to Torre Glòries (formerly known as Torre Agbar) and Media-tic. Twentytú Hi-tech Hostel > You will end the tour enjoying the views from the terrace of Twentytú: the first hotel in Barcelona to be awarded with the highest energy efficiency classification and that has already become an icon for next-generation luxury hostels. Check our reviews and see what our customers say about this tour. Hello, we are a group of 21 students and 2 teachers from austria. We will stay in Barcelona from the 10th to the 13rd of october 2017 and we are interested in the Smart City Tour. Please can you give us an idea of the tour and how much it will cost. Is it also possible for 2-3 hours?Thank you for your cooperation. I forward your email to our booking team and they will contact you shortly. Many thanks for your interest in our tours! Have a nice day!